Woodside's freshman transition program helps students adjust to the new high school environment. 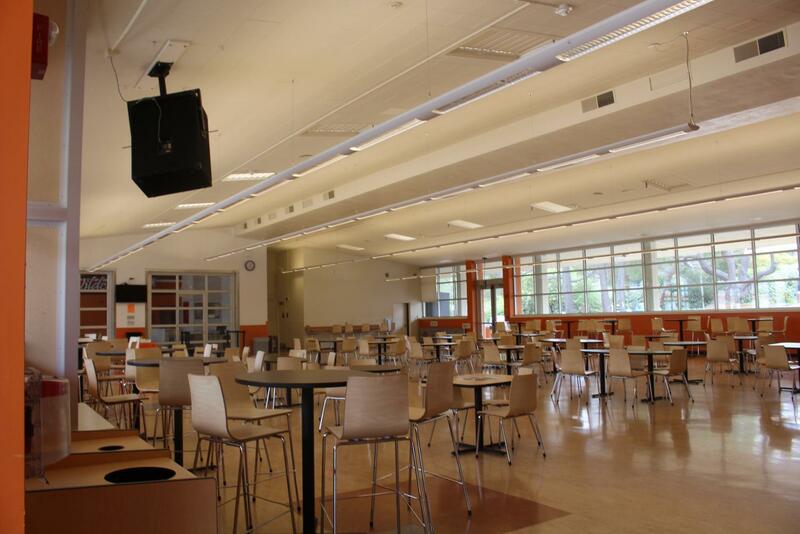 The multi-use room (MUR) at Woodside High School is where everyone has lunch , but it is also where the freshman transition program is held. Times can be difficult when transitioning from middle school to high school. There is a lot to worry about, and some high schools either help students or throw you in head first. At Woodside High School, a program called freshman transition helps students thrive at Woodside. Freshman transition is when upperclassmen apply to teach valuable lessons to freshman and have to go through training on how to deal with other problems that arise. Then, every month or so, freshmen in their World Studies classes come and talk to the leaders. That is Kelli O’Neill, a sophomore at Woodside, and she is one of my peer leaders. She had a very charismatic energy that I feel helped our group open up and all be able to talk with each other. “It worked really well because I got a lot of advice and I don’t know it was a really good experience,” added Woodside freshman Maeve Merwin. Aside from school, Merwin was also a part of the freshman volleyball team. People go through a lot, and it is tough for them to share it out in person. Freshman transition is an outlet for no judgment and for everyone to share what they are feeling. Gabriel Beddar, a freshman at Woodside and a peer in my AS English I class, explained. Emma Hague: What lessons did you learn at freshman transition? Gabriel Beddar: We learned about homophobia, bullying, and just how to transition into high school. Emma Hague: What advice do you have for incoming freshmen? Gabriel Beddar: If you are in AS English, do the reading. It will be really bad if you don’t. Try to makes friends fast, because that is the best time to do it: at the beginning of the year. Many students believed freshman transition helped them open up as students by meeting new people and listening to others’ stories. At the end of middle school, we are so excited for a new chapter of our lives, and high school is that new chapter. Many people go in thinking ‘I will rule the school,’ but then you realize all you need is some good friends, and you are set. It can be a real struggle to find those people, but they are out there. For KQED Youth Takeover, I’m Emma Hague.